We are currently creating landscape images for the Mid-Atlantic and Upper South regions in plant hardiness zones 6b ,7a, and 7b. 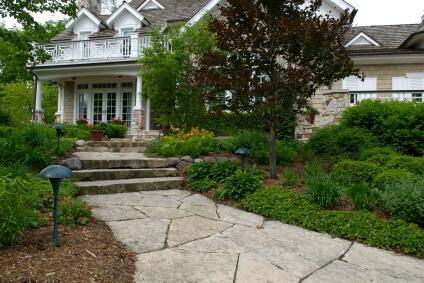 Let me lead you step by step through the landscaping process with a custom plan designed around your yard design needs. Let’s explore topics like your dream garden, preparing your garden bed, front yard curb appeal and more. Let me lead you step by step through the landscaping process. I’ll help you clarify your needs and desires and teach you how to install your new landscape. 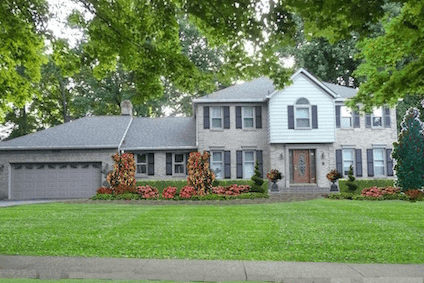 Here is the opportunity to wean yourself away from high priced landscaping companies and still get a delightful yard…..with a little DIY sweat equity. Our house’s “standard builder” landscaping was unimaginative at best, and had seen better days. We wanted to replace the bushes with something different from the usual rhododendrons and azaleas. We are pretty serious do-it-yourselfers and can dig with the best of them, but we do not have the expertise needed to select the right plants and position them properly. 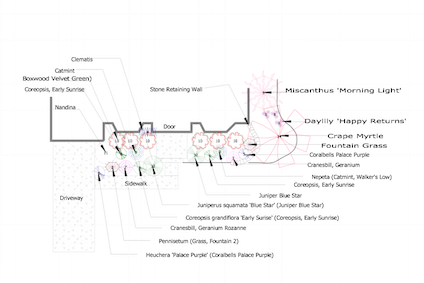 We asked Liz to design a new landscape plan for us, and we are thrilled with the results. Liz listened to our preferences, which included year-round color, low maintenance, and deer resistance. She brought us photos and descriptions of various options, carefully measured the area, and provided to us a detailed, to-scale plan complete with recommendations on where to purchase the plants. We followed her instructions carefully, and now have a unique, colorful front garden that is the prettiest in the neighborhood!